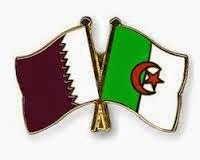 Algeria will play in a friendly match against Qatar this afternoon. Algeria has the stronger team and they are the clear favourite, although they have to play away from home. The guest is on the 18th place in the FIFA world ranking and they proved that they are a strong team in the World Cup in 2014. I expect them to win this match and i think they will win clearly. Qatar is a weak team and in 4 of their last 8 matches we saw 4 or more goals. In 7 of the last 8 there were 3 or more goals.